Getting out of bed when it's negative 20 degrees outside is hard. But having a delicious, warm breakfast to look forward to definitely helps. 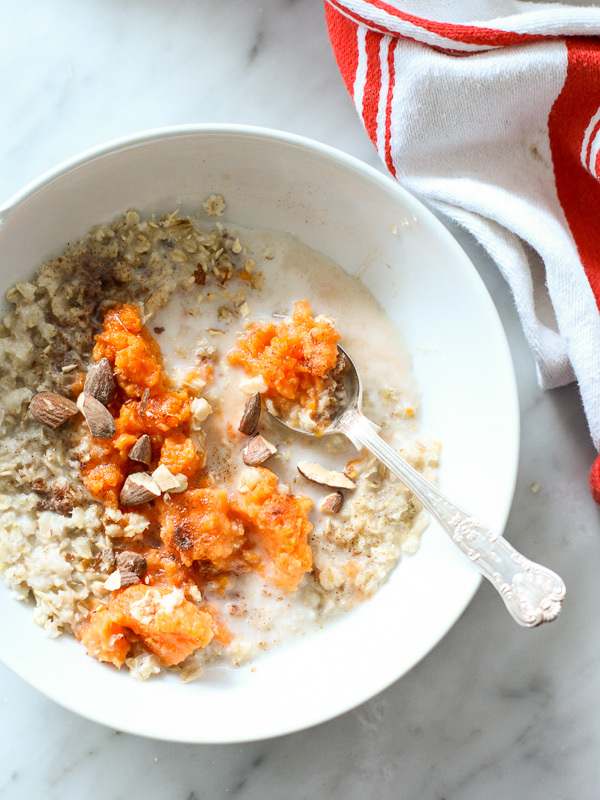 And while we love our go-to oatmeal for an a.m. meal that keeps us full and energized, there's one thing that could make our bowl even better: sweet potato. The orange veggies are full of good-for-you vitamins (like Vitamin C which will boost your immune system) and dietary fiber (which helps your digestive system), not to mention totally tasty, especially when mixed into a piping hot bowl of oats. To try it for yourself tomorrow morning, follow the recipe below. 1. Combine the oats, milk, salt and mashed sweet potato in a bowl and microwave for about 90 seconds. 2. Sprinkle pumpkin pie spice and brown sugar to taste and stir. Add a drizzle of maple syrup and top with chopped almonds. What are your favorite oatmeal mix-ins? Tell us in the comments!